The dragon is a creature that fascinates the entire world. Despite early man not having much in the way of communicating back and forth, we all managed to come up with a pretty close representation of the draconic creature! There are a few differences: number of limbs, wings or not, scale or fur. But, they all definitely have a long, serpentine tail. Even the humanoid versions of dragons feature the spined tail keeping them ready for action! So, it's a pretty big deal! If you're looking to offer up your most convincing draconic appearance, you can't just go with a few scales and a set of leathery wings. Without a tail, folks will spend all day trying to invent new words to describe you. 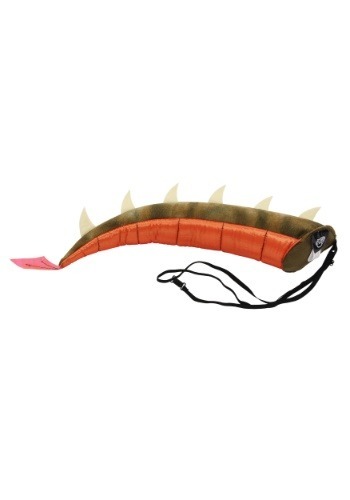 This plush Dragon Costume Tail has soft-sculpted spines and an iconic green-scale and orange-underside appearance and straps around your waist to keep your dragon looking dreamy. Folks know that dragons have dangerous claws, a fierce bite, powerful wings, and some deadly breath. But, don't forget that they've got their rear guarded, too. A strong slap from a tail is enough to leave any bumbling burglars running for the hills. 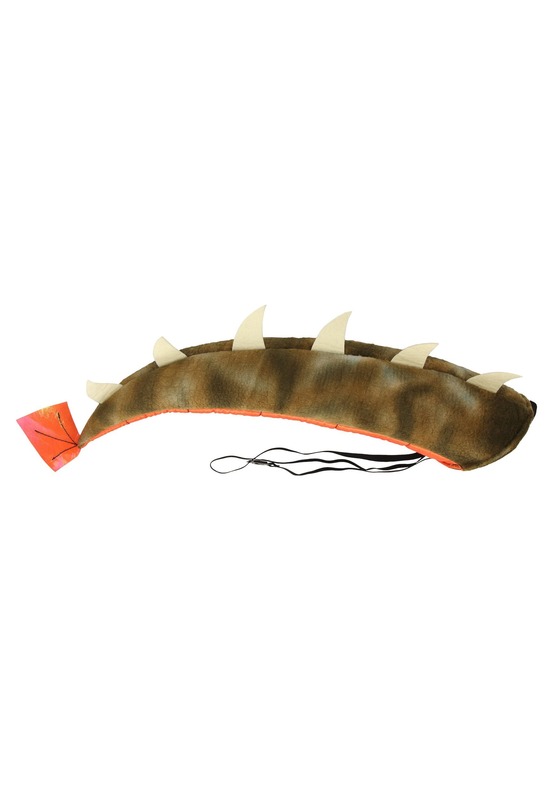 Keep your hoard safe with your own Dragon Costume Tail today!